I wonder why they opted for a one-inch tube? Marketing perhaps, or is there an actual, applicable difference behind it? Probably for the sake of weight and compactness. Also, with a moderate objective size, you can mount a 1″ tube scope a little lower which makes a difference for trim and light boltguns. Ilya, Lately I’ve been quite interested in a concept you’ve written about here. A lightweight scope with a larger objective lens and (piggybacked or offset) RDS as opposed to the standard 1-x variable with tiny objective and BUIS. I see that many people are employing this idea with offset RSD paired with traditional 1-x in multigun competition anyway. My intention would be to pair it with a BCM ELW-F upper with the original 13″ magnesium alloy KMR rail. This rifle comes in at about 5.8 lbs with a standard BCM FA profile bolt group and BCM lower. The barrel really seems to like 77 grain bullets. 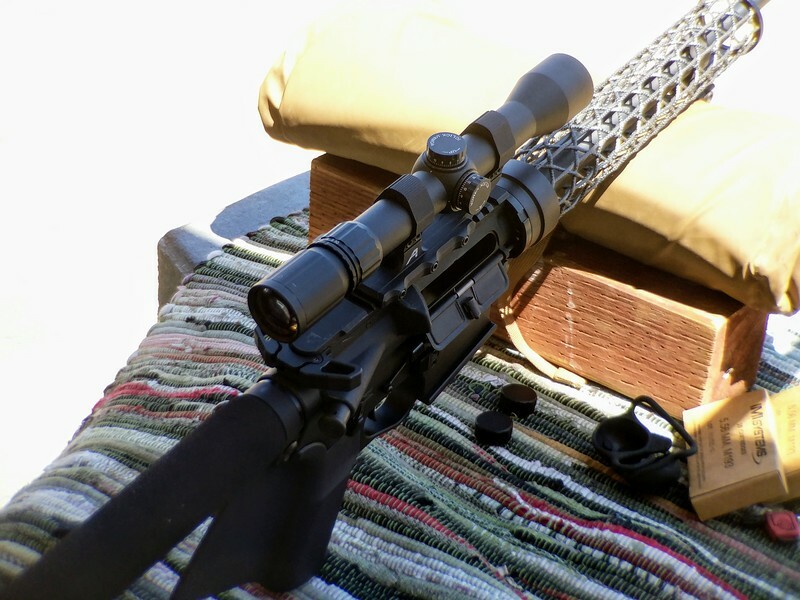 This scope with the .223 bdc reticle looks really interesting! I wonder if there is a good way to piggyback a small RDS in the 12:00 position on these scopes that have a 1″ tube and low profile turrets? If one could mount the scope in a relatively low mount (perhaps 1.35″ to centerline in height on an AR), and then get a mini reflex sight to sit in a perfect orientation to peer just over the elevation turret, could it mitigate some of the ‘height over bore’ problems inherent in this configuration? I’m thinking a poor man’s bastardization of the Leupold D-EVO, but with variable power and only slightly compromised cheek weld. I suppose that might require a way to direct attach the reflex sight to the top of a scope ring or ring mount, though? I’ve never used an offset RDS, so perhaps this is a vastly superior solution in practice, and but my caveman brain wants to reject the idea of shooting with the gun canted, and I have an irrational desire for ambidextrous use of the RDS. What are your thoughts about combining a lightweight 1″ scope and a RDS to supplant a single LPVO on a lightweight 5.56 AR, Ilya? What optics and mounting systems would you be looking at if you were to pursue this as a project? I think they have two and I will probably buy the other one. Thanks, I ordered the TPS CORA. Great price from SWFA!! It will be interesting to see how it works out. I’m definitely more interested in the BDC reticle version of this scope–primarily for the wind dots–but also holdovers. 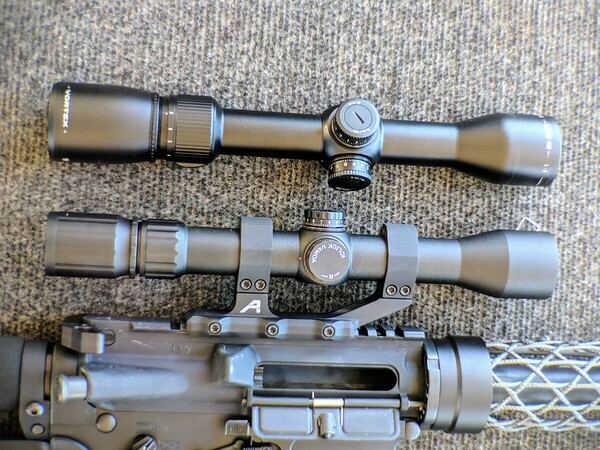 I’d been eyeing the Vortex 1.5-8 LH, however the weight difference and MOA subtensions conspire to make the Vortex less appealing to me, even though the lower end of the magnification is probably more useful to me than the very top. 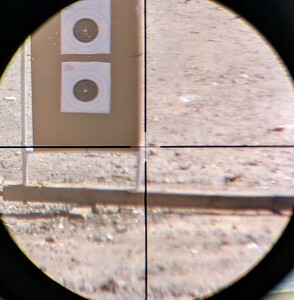 If the Vortex reticle had a mil scale with .5 mil increments it would absolutely be on it’s way to my house. 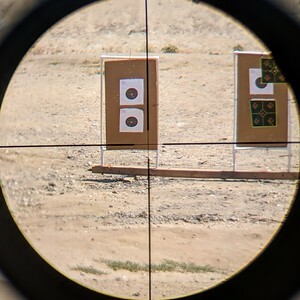 I think the ultimate reticle for this type of scope would be something along the lines of the Vortex G4 BDC (that you inspired) or SWFA’s BDC reticle above, but instead of a generic BDC, put a mil scale with fine .5 mil increments running downward, then also add fine, relatively unobtrusive WIND DOTS approximating 5 and 10 mph wind hold offs extending out horizontally from the mil scale. It would obviously be called a ‘WIND-MIL Reticle’….because: obviously. If the wind dots were roughly calibrated to 55 grain xm193 at 5 and 10 mph for instance, one could simply rename them 6 and 12 mph for certain 77 grain loads, or 7 and 14 for even higher BC loads/chamberings. I think it would work relatively well out to 500 or 600 yards with many loads. 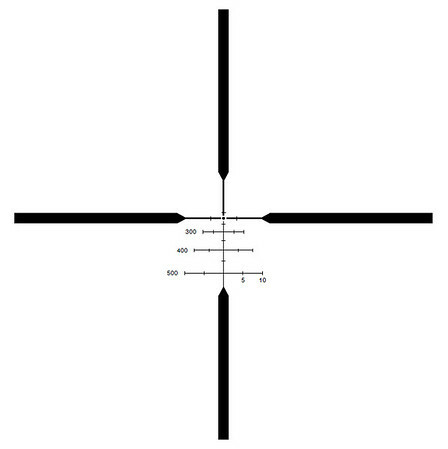 You would simply have to interpolate between slightly different numbers in order to bracket the wind correctly with any given cartridge, but it would be extremely simple 3rd grade math, and I think the reticle would look sane and balanced to the human eye, without being too flamboyant and distracting at low magnification. One would only need to figure out if their load was a 5 mph increment load (5 and 10), a 6 mph increment (6 and 12), or 7 mph (7 and 14), and then interpolate where you would need to bracket their target with the dots based on the current wind speed and direction. 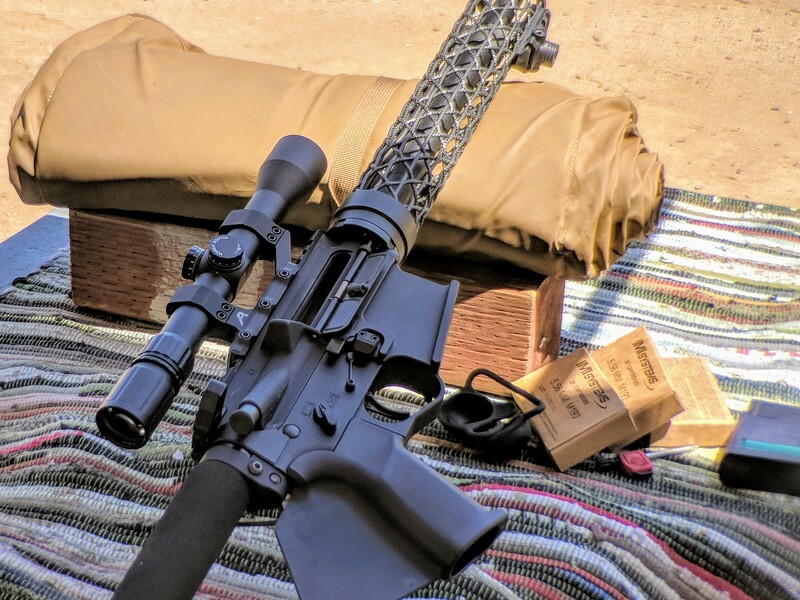 It’s exactly the same principle as Todd Hodnett’s TReMoR reticles, but designed for cheaper SFP scopes with lower magnification, shooting at more modest ranges, with lower zoot chamberings. You could even add 15 mph dots. Or only include 10 mph dots. Just get some wind dots on there! That’s my theory, anyway. 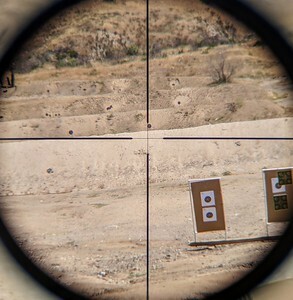 I want a scope with a 5.56 WIND-MIL reticle. That is pretty close to the type of reticle I have been trying to get someone to make for me. Some day, I still might. SWFA’s BDC reticle wind holds are calibrated for 55gr XM193, so you get that with it, but the elevation holds are BDC type, not mrad. The holdover points are 1, 2.1, 3.5, 5 and 8.5 MOA. What about the holdover mark between 400 and 500?